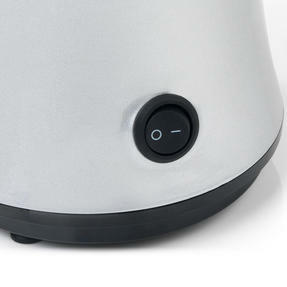 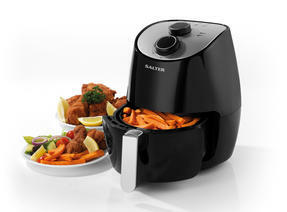 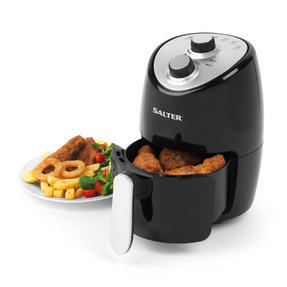 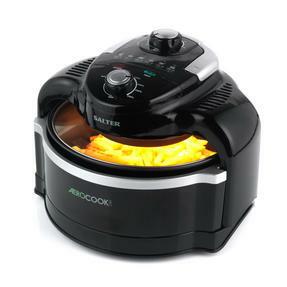 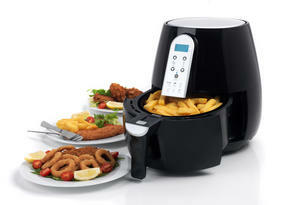 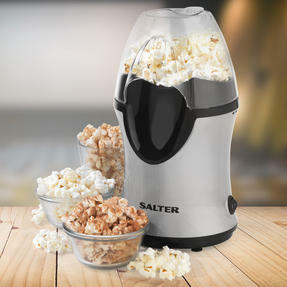 This Salter popcorn maker is perfect for making a quick snack to share with friends in front of a movie. 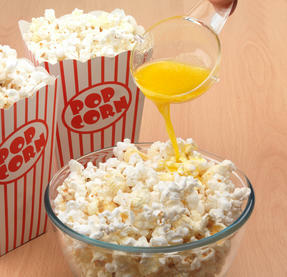 Tip one cup of kernels into the chamber using the integrated measuring cup and you can have delicious, warm popcorn in just three minutes. 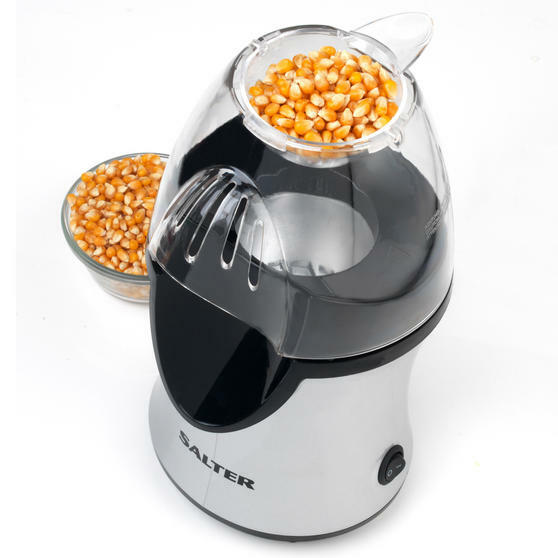 An incredibly fast and efficient way to make popcorn for you and your friends, this 1200 W popcorn maker is durable and easy to use, with a hot air heat chamber which heats the kernels to create popcorn with no oil required for tasty results. 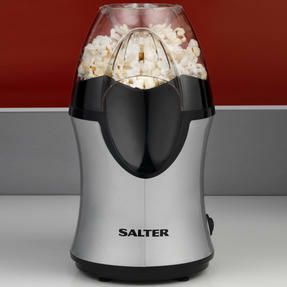 If you fancy a fun, tasty treat, this healthy Salter popcorn maker is ideal; simply add the kernels and cook for just three minutes. 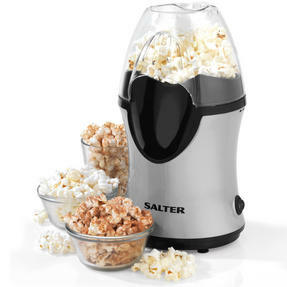 Measuring 15l x 15.5w x 28.5h cm, the popcorn maker is conveniently sized so it will sit nicely on a table and is simple to store away. With 1200W power and an integrated measuring cup, 1 cup of kernels produces a bowl of popcorn, so you can make just the right amount. 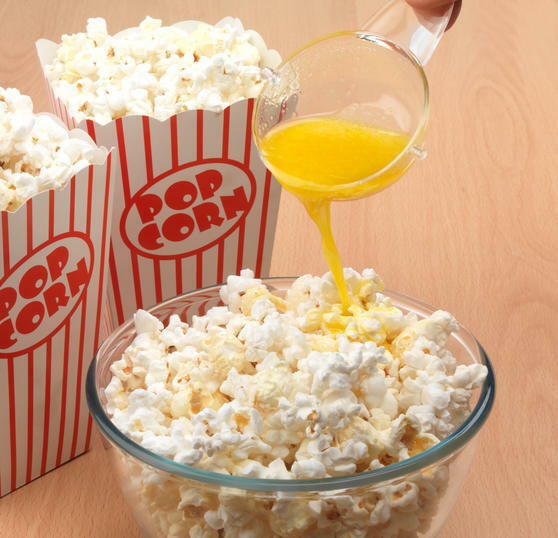 For a decadent treat, make toffee popcorn by melting butter, brown sugar and golden syrup in a pan then pour over fresh warm popcorn.